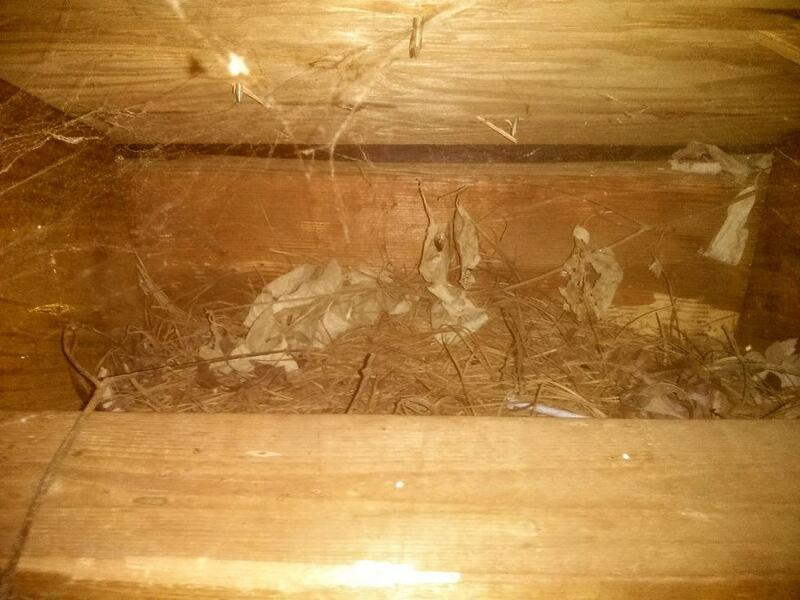 Nesting birds in attics are uninvited guests that can create unsanitary conditions. They gain entrance to a home through openings that should be sealed for climate control reasons as well as pest prevention. This nest was adjacent to a wall that had a hole perhaps the size of a quarter. While the presence of feathers indicates the nest was created by a bird, a licensed pest control company should investigate to determine the type of pest and how best to remove them if still present. A licensed general contractor should seal holes that could allow pest entrance to the home.